$20/HCC member, $25 non-members and guests. Free to admitted students. Free parking. 5:30 Light bites in the Library with cash bar, iced tea & soda included. 6 pm Visit by CAM Director Cameron Kitchin, '92 followed by special exhibit viewing. If you prefer to send a check, please make it to the HC of Cincinnati, c/o Katie Nappi, 644 Watch Point, Cincinnati OH 45230. It has been several years since last we visited "the Art Palace of the West", our beloved Cincinnati Art Museum. You will be treated to a private reception in the CAM library where, weather permitting, we can mingle on the grand terrace overlooking the city. We will be joined by fellow alum and Director of the Museum, Cameron Kitchin. 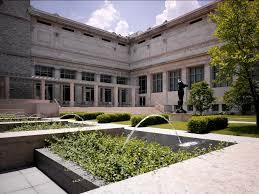 He will bring us up to date on what's happening and share future plans for the Cincinnati Art Museum. After his remarks, long-time docent Sarah Johnson HBS79 has arranged for us to see the incredible new special exhibit, Terracotta Army: Legacy of the First Emperor of China. You are welcome to wander the Museum on your own until closing at 8 pm. The Library is accessible directly through the Castellini entrance to the right of the main entrance. You also can enter from the 2nd floor of the museum. Cameron Kitchin is the Louis and Louise Dieterle Nippert Director of the Cincinnati Art Museum, where he serves as the ninth director in the museum’s 137-year history. Kitchin is dedicated to the art museum’s service to the public and advancing the role of art and education in Cincinnati’s civic agenda. Since his appointment in 2014, Kitchin has led the museum to embrace its founding principles of inspiring people and connecting communities through t he power of art. He guides the museum’s institutional vision, the collection of over 67,000 objects spanning 6,000 years, exhibitions, publications, research resources, art library, educational initiatives, outreach programs, external relations, administrative management and strategic planning. Cameron holds degrees in art history from Harvard University and business administration from William & Mary. The exhibition features approximately 120 individual objects, which include terracotta figures of warriors, arms and armor, ritual bronze vessels, works in gold and silver, jade ornaments, precious jewelry, and ceramics, all drawn from the collections of art museums and archaeological institutes in Shaanxi province, China. 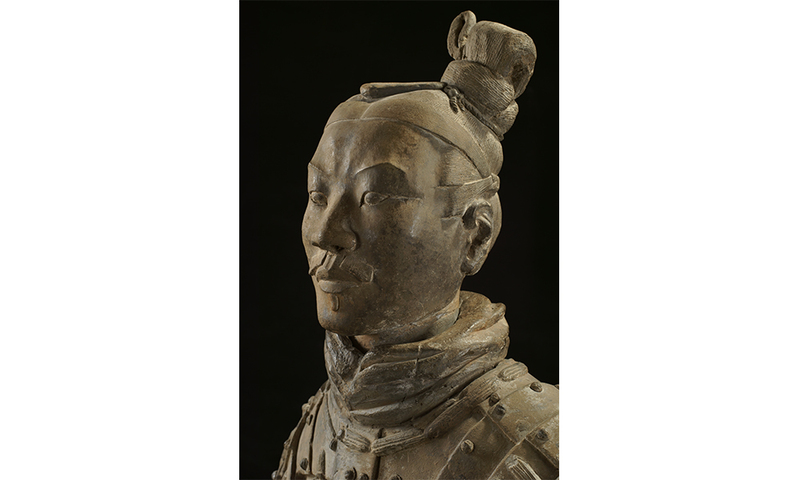 Dating from the Pre-Qin period (770–221 BC) to the Qin dynasty (221–206 BC), these works of art, excavated from the emperor’s mausoleum, as well as aristocratic and nomadic to mbs, represent history, myths, and burials in ancient China. The themes explored are the birth of the Qin empire and cultural diversity in ancient China; the First Emperor and unified China; and the quest for immortality. Through presenting rich archaeological finds, the exhibition provides a glimpse into ongoing excavations and research, which continue to shed new light on the Qin culture and the First Emperor’s burial complex. The renovation of the former Art Academy building was completed in January 2013 and opened as the Longworth Wing of the museum. The LEED certified building is now home to our staff offices and the beautiful new Mary R. Schiff Library and Archives. The rooftop library, overlooking downtown Cincinnati, has an extensive collection of over 100,000 items covering six thousand years of art and art history. The Mary R. Schiff library is available for rental and offers two conference rooms for small corporate meetings or the main Reading Room for cocktail hours with breathtaking views of the city below. This renovation has made room within the museum for approximately 15,000 square feet of gallery and exhibition space including the Rosenthal Education Center.